Order in the next 9 hours 23 minutes and your package will ship on Monday, April 22. 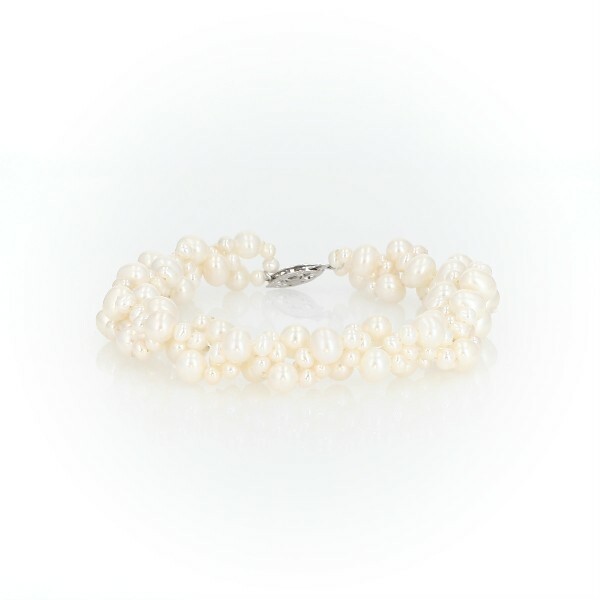 A wedding day favorite, our woven Freshwater cultured pearl bracelet is a beautiful piece of special occasion jewelry. Clusters of varied-size white pearls are finished with a 14k white gold filigree clasp for an elegant look.